While it may seem counterintuitive in today’s digital age of Google searches and Yelp reviews, word of mouth still matters when trying to attract new customers as part of your online local marketing plan. While the Internet allows consumers to search for and find businesses more conveniently than ever before, it also makes it more difficult for consumers to separate the good from the bad. Online reviews have become the new word-of-mouth recommendations, and are a vital part of helping businesses stand out from the competition. Studies have found that 79 percent of consumers give online reviews the equal weight and authority of a personal recommendation. This is both a blessing and a curse for small businesses. As a positive, businesses that place a premium on customer service and consumer experience can reap massive benefits as their online reputation grows. However, review websites like Yelp and Angie’s List have taken away a lot of brand control from local businesses. Service related businesses also live in constant fear of the dreaded Review Filter many of these sites use, which can bury a business below the competition in page rank if they don’t collect as many four and five star reviews. 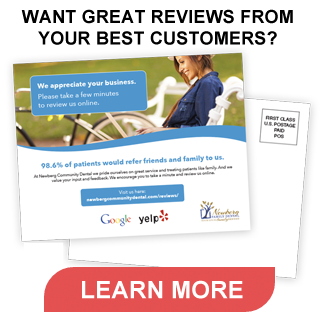 Fortunately, your business can fight back by using customer testimonials. By utilizing testimonials – comments and reviews from your most satisfied customers – in video, audio or text format on your website, you have the opportunity to incorporate your business’ sale pitch into a credible, unbiased recommendation for your products or services. Adding a testimonials page to your business’ website ranks as one of the easiest ways to improve your brand image, and a solid page with glowing reviews can create more selling power than even the best ad copy. Why do testimonial have such a high impact? Testimonials build trust. Whether your customers are extolling the virtues of your products or raving about the extraordinary service you provided, they’re telling potential customers a story about the positive experience they had with your business and products. Testimonials aren’t a sales pitch. Consumers trust testimonials as an unbiased source of information. While your website probably contains plenty of copy about how great your products or services are, testimonials that reinforce your sales pitch carry far more weight with consumers. Testimonials overcome consumer skepticism. A quality testimonials page has the power to overcome even the most skeptical visitors that your service or product really did make a difference to your customer’s business or life – and that it can help them, as well. At Local Fresh, we have found several techniques that make it easier for business to solicit and receive positive review from their most satisfied customers or clients. The first step is to make it as easy as possible for customers to give their testimonials. Let your customers and clients know their input matters. If you’ve provided a valuable service that has enhanced or improved your customers’ lives or business, they’ll be far more likely to want to repay your efforts by leaving a glowing testimonial, especially if you let them know how much their input matters. Make it convenient. Your customers’ time is valuable. You need to respect that when asking for a testimonial by making it as easy and convenient as possible for them. Ask customers to take the time to complete a short survey after completing a purchase or offer to have a staff member schedule a short interview when dealing with clients. This allows customers to conveniently complete a survey when already on your website or allows clients to schedule an interview when they have the free time to talk. Ask simple questions. The simpler the questions you ask, the more likely you’ll receive quality answers. “How would you rate our service?” is going to receive far more answers than a similar question posed as “How has Local Fresh impacted your business/life?” Simpler questions reinforce the respect you have for your customer’s time, as they require far less mental and physical energy to respond to. Once you have collected between 8 to 12 testimonials, you have enough to begin creating your testimonials page. When listing your client or customer testimonials on your website, make sure to provide the answers along with the first name, last initial and the city in which the respondent resides. Should your business need help creating, collecting or organizing a testimonials page, Local Fresh is here to help. Our staff of online marketing experts can edit client interview responses and sort through customer reviews to create the best possible testimonials for your business. Click here to find out more about what Local Fresh can do to help your online local marketing plan.